Day 10 saw only three witnesses on the stand: FBI Agent Brian Corcoran, FBI Special Agent Philip Christiana, and FBI Special Agent Kevin Swinden. Agent Corcoran, a bomb technician, testified the day before and was back on the stand in the morning, still under direct. Basically, this guy testified to a whole host of things found on Laurel Street in Watertown. – A computer bag in which was found: a Samsung laptop, a cell phone with two batteries, a transmitter with an antenna (aka “modified piece of electronics”), foreign legal document with Tamerlan Tsarnaev’s name on it, Tamerlan’s 2006 high school diploma from Cambridge Rindge & Latin (also included were class schedules and attendance records), and a laser pointer. – A messenger bag that contained a UMass pencil, Zippo lighter and an 8G thumb drive. Let’s start with the “blast seat” on Laurel Street and Corcoran’s testimony about the pressure cooker. Andrew Kitzenberg of 62 Laurel Street took a photo of the blast seat as seen below on the left, the photo in the center was used as evidence by the prosecution during trial, and the last one is the area of the blast seat seen on Bing maps (No actual blast marks in the last photo). Do I think the blast seat is particularly interesting? No. So let’s talk about where pieces of the pressure cooker landed. The pressure cooker itself exploded into the side of a Honda Civic. At the time, the vehicle was parked next to another car in a driveway and blocked in from behind by a police SUV. Take a look at the photos below. The fact that it seemed near impossible for the pressure cooker to plow into the side of the car at that angle was the only thing during the entire course of the trial that the defense not only argued, but went so far as to insinuate that someone planted it in the side of the car. I’m not disputing the odds of the cooker landing where it did, but this, this is the war Judy Clarke waged during the trial? I mean, come on. The least she could have done was haul in Bill Nye, the science guy, to talk about trajectories. But nah. She didn’t. Even more interesting is where the pressure cooker lid came to rest. According to Agent Corcoran, authorities found the lid in the side yard at 53 Laurel Street in a hockey/soccer net. Yeah. I wish I was making that up. I’m not. Below, I’ve posted on the left a photo that was used during the trial that shows the net with the lid inside it, in the center is a photo of the front of 53 Laurel Street, and to the right is the earlier photo of the blast seat which shows the house next door and just to the east of 53 Laurel Street. Now I’m no expert but unless I missed Corcoran’s testimony about how the lid did a bank shot off what I can only assume is 49 Laurel Street, this is the most amazing flying lid I’ve ever seen. I mean, if the net opening was facing the west and the lid came from the east…well, you understand. However, before anyone starts calling up Dwight Schrute with their conspiracy theories, it is possible the police moved the net before taking evidence pictures like they did with the pencil on Henneberry’s boat or the stuff in the bedroom on Norfolk. I’m not sure when moving evidence before taking pictures used at trial became fashionable but, hey, maybe they didn’t. Which then leaves us back at square one: the magic loogie lid. Or the bank shot. Corcoran briefly touched on the computer bag found in the Honda Civic on Laurel Street and the “modified piece of electronics” or a transmitter with a dead man’s switch on it. But overall, not much was said about the transmitter which leaves us to wonder what the transmitter was for – or rather, to which bomb did it belong? Was it for either of the two bombs that were detonated on Boylston Street? Or both? Can one transmitter even detonate two bombs? 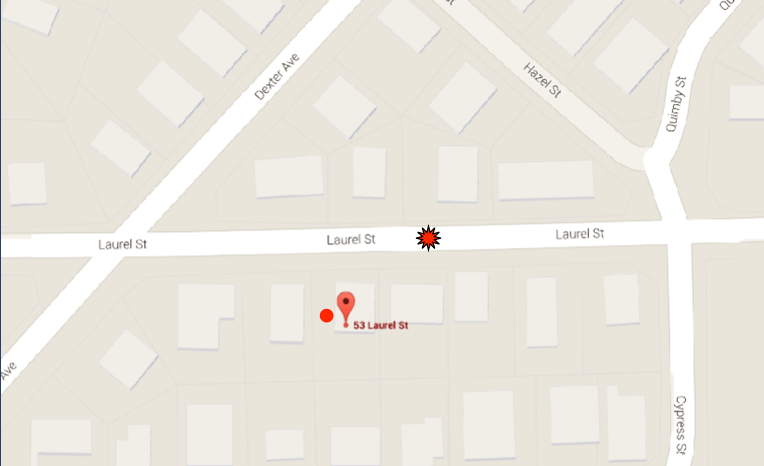 Or how about the pressure cooker that exploded on Laurel Street? Or none of the above? We may never know. But what do we know? The government has never shown us anything that was used to set off the bombs on Bolyston Street, nor have they said they found anything. Disturbing? It should be. A cell phone was also found in the bag and journalists reported it as an AT&T or HTC cell phone. So between the Tsarnaevs’, how many cellphones have we seen so far in this trial? 2. 857-247-5112: This phone number was seen on Jahar’s resume. The phone was also used to text Kadyrbayev on April 18th, 2013. It was found smashed behind a shed on Franklin St. with the 617-276-9151 phone. 4. A Samsung cellphone was found in Jahar’s dorm room. This phone may or may not be the phone that was disconnected. (Special Agent Swindon testified about this phone later in the day). 1. 857-928-4634: T-Mobile. Phone used at the Boston marathon. Account created on 7/18/2012. Now that we have that straightened out, whose phone was found at Laurel and Dexter? No idea. Spoiler alert: We’re never told. At this point, I can only assume it was Tamerlan’s. Outside of Corcoran’s testimony about property damage on Laurel Street, the only thing left worth talking about, at least for today, is that high school diploma found in the computer bag, am I right? I mean, as I’ve noted before, when those crazy kids were headed east (Edit: Not east into the ocean, I meant south to NY. Obviously.) to blow up New York City according to carjacking victim, Dun Meng, clearly they were going to need Tamerlan’s high school diploma. And class schedules. From seven years ago. Because that makes perfect sense. Said no one. Ever. On April 19, 2013, prior to Jahar’s capture, Agent Christiana, a bomb technician who works out of the New Bedford, New Hampshire field office, responded to the apartment of Jahar’s friends, Dias Kadrybayev and Azamat Tazhayakov, at 69A Carriage Drive in New Bedford. Remember Jahar’s friends that were arrested? These are two of them. Christiana’s testimony was fairly short. He testified that he was part of the hostage team that removed “three individuals” out of the apartment and then swept the apartment for, well, probably for just about anything. One of the neighbors on Carriage Drive appears to have been on friendly terms with Jahar and 1420 WSBM posted a quick interview with the guy who said that Jahar, Kadrybayev, Tazhayakov and a fourth friend, Robel Phillipos were all on the same cellular plan → HERE. For the indictment against Kadrybayev and Tazhayakov, you can find it on the justice.gov website → HERE. So what did Jahar’s friends do exactly? 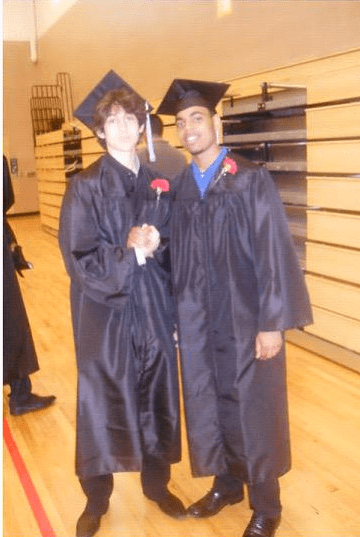 On April 18, 2013, after the FBI released photos of the “bombers,” Jahar’s friends went to his dorm room and removed his backpack which contained a handful of fireworks, Vaseline, a thumb drive and a homework assignment. They also removed his Sony VAIO laptop. After returning with Jahar’s things to their New Bedford apartment, Kadrybayev eventually put the backpack and its contents into the dumpster that evening. Yeah, I got it. They thought they were throwing out incriminating evidence like a few fireworks, which, inevitably contained no where near enough powder to make even a little, itty, bitty, baby bomb, and the Vaseline that Jahar had mentioned was used in bombs during a previous conversation with his friends. I don’t know, did any FBI bomb technicians testify at trial that they found traces of Vaseline in any of the bombs? Oh, that’s right. No. And did Jahar’s friends remove his cell phone from his UMass dorm room? No. Did they take and dispose of Jahar’s white hat seen in the FBI photos? No. Did they throw out Jahar’s laptop? No. They left it in plain sight on their dining room table and Christiana testified authorities confiscated it the day he was dispatched to the apartment on April 19, 2013. Were Jahar’s friends really that naive or ignorant about what could be used as incriminating evidence against Jahar? Jahar’s friend, Stephen Silva, wasn’t. He chucked his own cellphone as soon as he realized the gravity of the situation. Here’s what the news reported a week after the Feds allegedly took possession of Jahar’s laptop: According to ABC News, three law enforcement sources told them both Tamerlan and Jahar had spent time at the New Bedford apartment sometime after the bombings. Not only that, authorities were searching in a nearby landfill not for Jahar’s, but, rather, Tamerlan’s laptop. The article also claimed that Tamerlan’s cellphone was recovered from the New Bedford apartment. Huh? The only cellphone that Christiana testified to confiscating from the apartment was Kadrybayev’s iPhone 4S. Even weirder, during trial, @gailwaterhouse tweeted, “Inside the apt is a large gray couch, a TV on, end tables & an Apple computer can be seen.” Then she tweeted, “Behind the couch is a black dining table, 2 chairs. Another laptop on that table underneath a baseball hat.” So who owned the Apple computer? Even if it wasn’t Tamerlan’s or Jahar’s, why wouldn’t the Feds grab it? So…Jahar was still hiding in a boat, the Feds claimed they had no idea how many individuals were involved in the bombings at that point and they don’t take the other laptop? Is ABC News and Gail Waterhouse smoking what Jahar was selling? No idea. US Dept. of Homeland Security Agent, James Wiroll, while on the stand during the Kadyrbayev trial, read from a federal report (I’m assuming an FBI interview with Kadyrbayev) that Kadyrbayev told authorities he had thrown away the backpack and the laptop. Now if you’re looking to maybe, say, skate from any or all federal charges, why would you admit to tossing the laptop if you didn’t toss the laptop? Yet, as of today, authorities say Kadyrbayev did not throw away the laptop. Christiana’s testimony reflected the same thing. I don’t have the Wiroll transcripts but you can read about his testimony HERE and HERE. Lastly, a Superseding Indictment filed on August 29, 2013, charged both Kadyrbayev and Tazhayakov with, “agreeing to knowingly alter, destroy, conceal, and cover up tangible objects belonging to Dzhokhar Tsarnaev, namely a laptop computer…” Is taking a laptop and setting it on top of your dining room table in plain view altering, destroying, concealing or covering it up? I guess according to authorities it is. For other news sources that carried almost the same news story as ABC about the laptop and the landfill go to NBCNews → HERE (officials apparently told NBC the same thing) or the New York freakin’ Times who did an entire article on the missing laptop in the landfill six days after the laptop was allegedly found in the New Bedford apartment → HERE or a NYmag.com article which stated, “A law enforcement official tells the the New York Times that on Thursday investigators were combing through the Crapo HIll Landfill in New Bedford” because “‘they believe that the computer may have been thrown out. '” → HERE. Agent Swinden was like Agent Corcoran in the sense he pretty much went over a laundry list of items only his testimony focused on electronic devices and the files on them. I’m going to make this pretty simple for you guys. I’m simply listing many of files found on each device that Agent Swinden examined. This computer was used by many people. *The Islamic files seen on Jahar’s laptop were also seen on the home computer. The thumb drive had a lot of corrupted files that wouldn’t open. Authorities were only able to retrieve information from the SIM cards i.e. phone number, ownership. As pointed out earlier, one of these phones was used at the marathon, the other used on Jahar’s resume and to communicate with friends on April 18, 2013. *More testimony about the Tsarnaev’s electronic devices continued on Day 11 and Day 16 of trial. Wow, another brilliant piece of investigative journalism. Where on earth do you get the focus for such meticulous, detailed examination? Just curious (or is this the wrong place to ask?) but what exactly are you studying? Also, you have a fan in Australia, well known lawyer activist, Mary Maxwell has been following your reports. Scroll down to comments section where she mentions your site. Thank you. That’s very kind of both of you. Not merely a magic lid, but a magic pressure-cooker. Plenty to suggest that the defence was on the right track there. the “modified piece of electronics”…….yes, it is a transmitter, hacked from the hand-held control unit of a remote control car. We have the model numbers etc. And yes, it can control 2 bombs. However…….2 bombs of the type alleged were on Boylston require 2 model remote control cars. The circuit boards are removed and hacked and are placed in the bomb itself. When the bomb explodes, the board is largely destroyed, but not necessarily completely. The transmitter is not destroyed as it is not in the bomb. There is receipts evidence for only one vehicle. No wonder the FEDs have been so cagey, no wonder the prosecution wouldn’t submit their evidence for trial, and no wonder the FEDs’ own ‘reconstruction’ failed completely. Not just a magic lid, but a magic pressure-cooker. Plenty to suggest that the defence was on the right track with that one. We have a lot more detail on that, but it may not be wise to put it on a public forum. However: no wonder the FEDs remain cagey about the details, no wonder the prosecution wouldn’t hand over evidence, and no wonder the FEDs’ ‘reconstruction’ of the forum bomb failed completely. It’s OK – haven’t put enough detail up there to get into trouble, despite being a half-wit with internet stuff. I can do electronics, but not internet communication basics. Much appreciated. Even with the little that was said, I can see people are asking questions and are on top of this (because I have no understanding of how this works) and that’s awesome. Thanks and keep it up! Been at this for 2 years, much like yourself…..